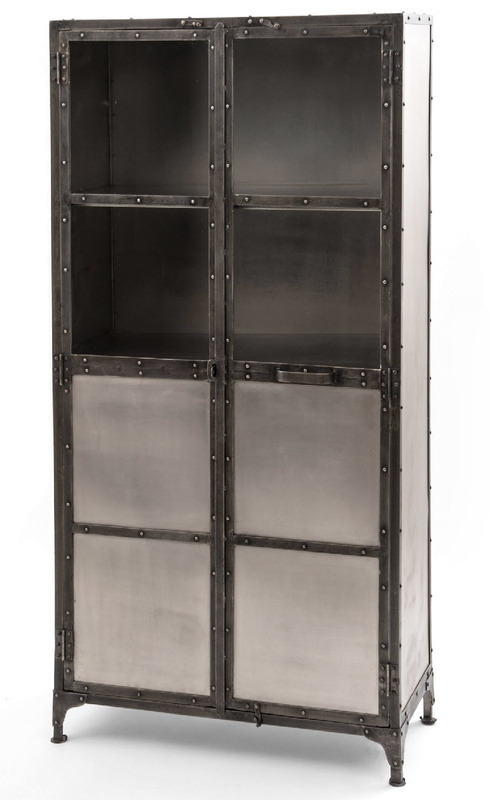 ELEMENT CABINET-NICKEL/ANTIQUE NICKEL - This study in mixed metals was inspired by an industrial foundry cabinet. 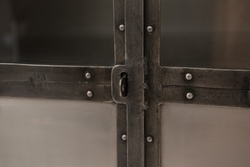 Dark iron frame contrasts with antiqued nickel panels. 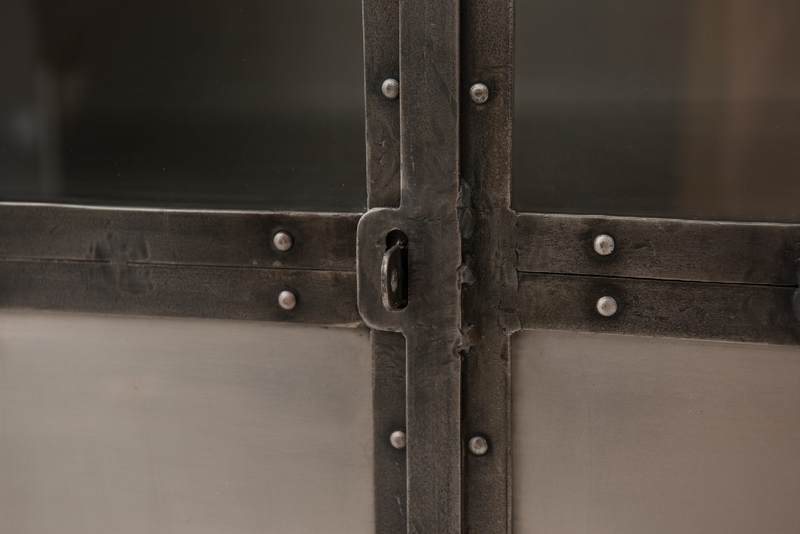 Construction marks add to the character of the piece, while long cabinet doors reveal shelves both seen and unseen. H 71" x W 36" x Depth 16"